Not many vehicle manufacturers can tout that they have the hearts of an entire demographic. Yet, that’s exactly the kind of reputation that Jeep has been able to solidify. For many young Americans between 18 and 34, a Jeep vehicle is an ideal, a model to strive for, and with serious power and high innovation inside, this favoritism isn’t without its backing. 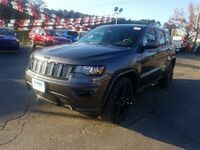 This is especially evident in the case of the Jeep Grand Cherokee, which returns to Cowboy CDJR for the 2018 with the bullish power and subtly luxurious cues that make it such an eye-opening, awe-inciting model for so many. We’ve got a lot to talk about regarding the 2018 Grand Cherokee and all its bells and whistles, and we don’t want to keep you waiting any longer. Keep reading to check out what this class-leading SUV is capable of! With all of these, it’s easy to see why the Grand Cherokee family has been named “Highest Model Loyalty” by IHS Markit for the third year in a row. Plus, with a maximum driving range of 639 miles, the Grand Cherokee has an uncanny way of giving you the kind of endearing ownership experience that you simply can’t find anywhere else. 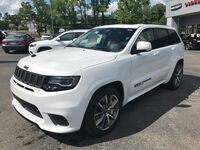 You can, however, find the 2018 Jeep Grand Cherokee right here at Cowboy CDJR in Clinton AR, so contact us today to schedule a no-obligation test drive and work out a financing deal on the Grand Cherokee that is specifically tailored to your budgetary needs. We hope to see you come see us soon! 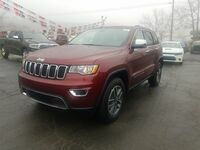 Interested in a Jeep Grand Cherokee?